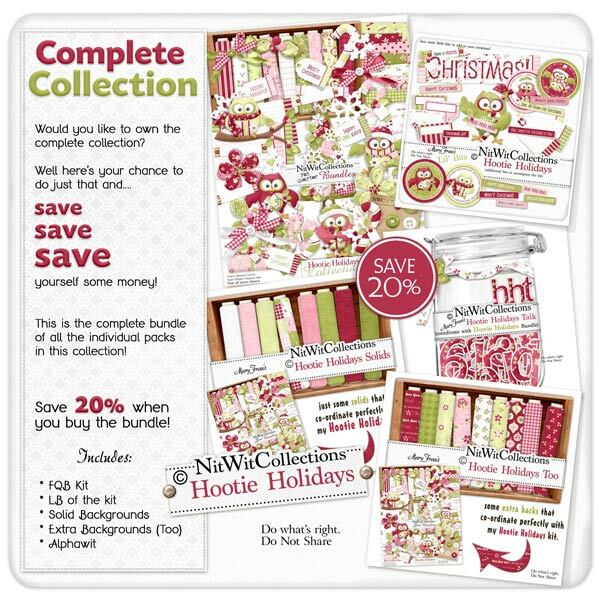 "Hootie Holidays" Collection lets our owls in on the Christmas festivities! Who doesn't think that Christmas is a Hoot!! Our owls have come ready to celebrate with their best Christmas attire and bearing gifts. Don't forget how they do Christmas in the forest with the Christmas Branch, flowers from the forest "store", holly that they've foraged, and of course some snowflakes and their Christmas tree. Don't turn them away or they may keep you up at night with their nocturnal noises! !